Computer animation dates back to 1940’s and 50’s, this was the era when experiments had just started in the field of animation. Since then 3D animation has found its way into the lives of millions of people worldwide, be it in the form of a gaming console, or an animation software that professionals come across on their workstation, another place where it is hard to miss is the special effects used in a movies, enhancing the experience of the audience , the movie makers use the power of this technology to give a lifelike feel to the characters, harnessing the power of animation in the best possible way, there is a lot that goes on behind the scenes, from the first line algorithm to the latest technologies making the rendering possible. Which is why people don’t generally venture into it and it is still a niche field. Another important thing that the animator needs to master is body mechanics. So that he can create believable animations, he needs to understand how the human body moves, as well as how animals move. It seems like a complicated, arduous process, if only there was a simpler way! The solution to such problems is NORAH, aiming to become a 3D animation middleware company, making it easy for the developers to quickly get over with their work. Learning from their own experience of making a game where they faced a lot of challenges, Norah team realized that development of a tool that can be used in many different scenarios while developing a game was important. Norah AI seems to be quite a promising new entry into this market. Developed by tech start-up Absentia, Norah makes the process faster and friendlier. With AI assisted auto-rigging, it snaps the 3D character with a skeleton with ease. And to begin with, it gives a huge repository of predefined animations and also the ability mix and create your own. 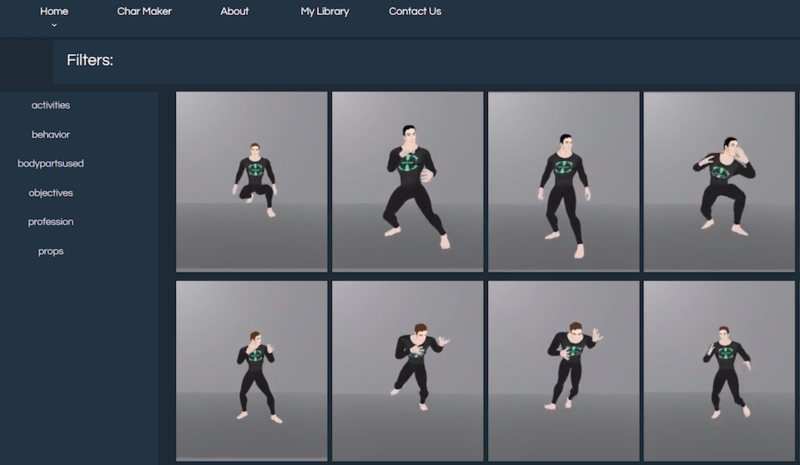 This new company and also a platform called Norah.ai is now rolling out the first product – an animation tool, where the user can load their own 3D models that are automatically rigged, and then predefined animations can be applied to these characters. It will be a lifesaver for a lot of developers. Norah AI uses the deep learning and generative models enabling it to create complex animations that are realistic, dynamic, and flexible. The same things which take time and training are completed much faster with Machine Learning and half a million datasets are being used to train the AI. An expert in all types of movements, it also excels in complex ones, for example, dancing and combat animation. This just doesn’t require a machine memory but machine imagination as well. The good news is that the animators have an option of merging and blending in the existing animations into the new ones with the help of Norah’s style transfer tool. This results in giving the developer a wide variety of choice and an ability to experiment. With the help of this tool, usable rigs are created in a fraction of seconds without the need for any input. Applying weights correctly to a character takes a few hours at best. The Auto-Rig takes just a couple of minutes to get the skinning to 90% of the way there. The Auto Rig tool is intended to be a quick way to add a rig to an empty mesh. Animators also have an option of merging and blending-in the existing animations into the new ones with the help of Norah’s style transfer tool. This results in giving the animator to create absolutely new animations inspired and blended by mixing two others. This opens up infinite possibilities and gives us a platform to experiment with animations. Norah’s Motion Editor is an equally powerful tool. With this tool the user can adjust and blend animations, allowing users to tweak around and add smooth transitions along the time spectrum. This tool enables fine tuning control because of the frame by frame editing option which links the futuristic AI driven approach to old methods of creating animations. With a bigger picture in mind, Norah is a workflow for game development, with animation being one of the modules it offers. With AI at its core, Norah plans to accelerate all aspects of game development from maps to stories to characters. Norah AI will make game creation extremely easy and fast. What used to take months will now take minutes instead.